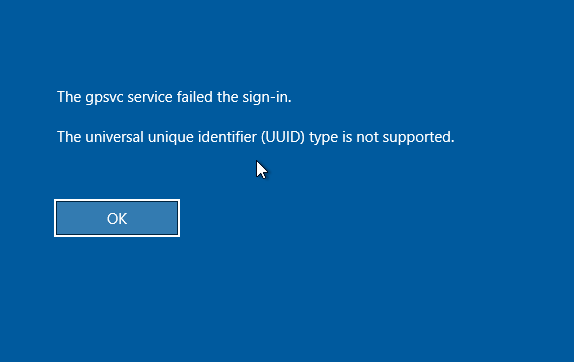 13: I am getting an error about “GPSVC failed at sign-in”. This error occurs exactly one time. What does this mean? The error is saying the “Group Policy Service failed at sign-in”. Note: users never see this message more than once per PC. 01: Other: What must I send to PolicyPak support in order to get the FASTEST support? 03: CSE: How do I troubleshoot slow logins (or other login problems), user profile issues, explorer.exe or other Windows problems? What if I’m having problems on ONE (or very few PCs)? 04: CSE: Why am I prompted about a Digitally Signed Driver for PolicyPak CSE (and how do I work around it)? 05: What must I install on Windows 7 to make PolicyPak work as expected? 06: CSE: How do I turn on Debug logging if asked? 07: HowTo: How can I find the name of a GPO located within a PP Log file? 08: HowTo: How can I increase the depth of what PolicyPak reports (minidump files). 09: HowTo: When I edit the GPO, the settings don’t seem to “stick”. 10: HowTo: How must I configure my Anti-virus to work with PolicyPak CSE? 11: How can I fix Outlook To-Do bar flashing when GP or PolicyPak does a background refresh? 12: How would I verify if PolicyPak Client Side Extension is / is not causing high or CPU disk slowdowns? 14: CSE: Why won’t the PolicyPak services start, with an error like (or similar to) “Verify that you have sufficient privileges to start system services.”? 15: How does the caching of Item Level Targeting work?